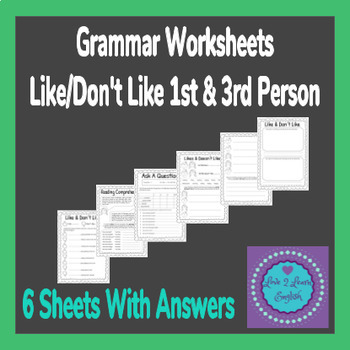 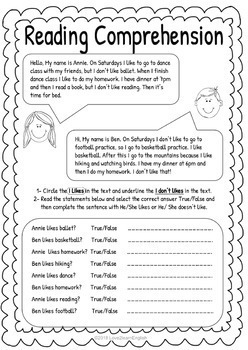 A 6 page set of worksheets to teach and practice 1st person and 3rd person forms of like and don't like. 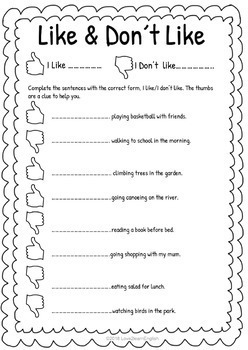 Using a variety of skills students learn how and when to use 1st and 3rd person forms in English grammar. 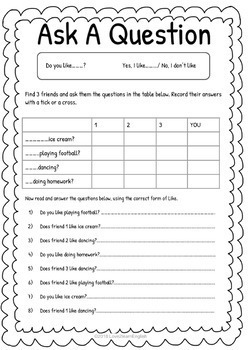 Perfect for younger years and ESL, EFL, SLL teaching.